Mapping mangroves at Pulau Ubin! R.U.M. Researchers Zheng Zhangxin and Ong Wei Bin have been mapping the restoration sites almost daily! R.U.M. 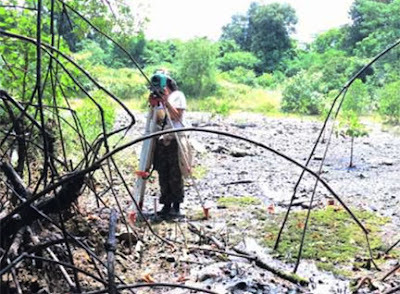 volunteer Lisa Lim also joined them for the arduous job of mapping the bare abandoned aquaculture ponds which we hope to fill up with mangroves. The Researchers also map natural mangroves to find out what kind of conditions mangroves like. In this way, we hope to create these conditions so that Mother Nature can replant the bare ponds. R.U.M. 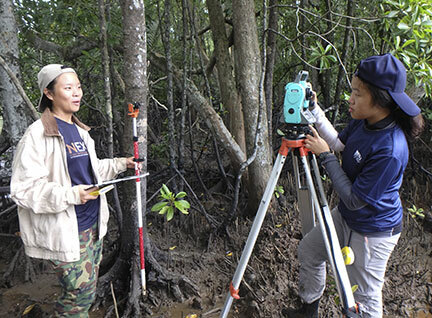 volunteer Ria Tan joined them briefly to help with ID of mangroves. More photos of the mangrove mapping. R.U.M. 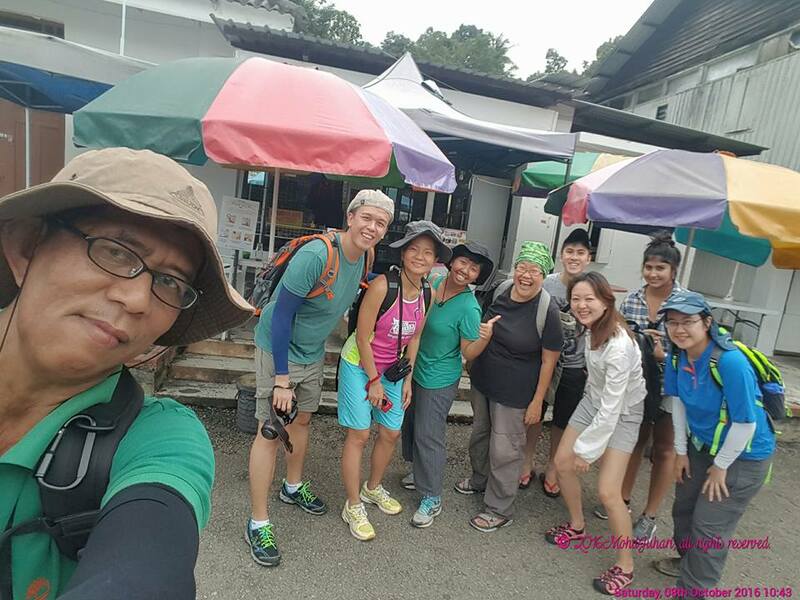 volunteers Ria Tan and Mohammad Juhari also held another FREE mangrove walk at Pulau Ubin. We had a great time sharing with the small but enthusiastic group of participants, exploring Ubin and the beautiful mangroves. After the walk, Nor Lastrina Hamid kindly made this awesome video clip about R.U.M. Thank you! While Ryan Koh and Joyce Wong shared lovely photos of the walk. MORE photos by Mohammad Juhari of our walk. R.U.M. now also has an A3 colour poster in three languages that will be posted at Pulau Ubin. Please do download and post at your office, school or community if you can. Thank you!